25 ACRES WITH A HOME AND POND ZONED AG! This one of a kind property welcomes you with a rustic home and a large pond. The home has a spacious master bedroom with bay windows, a walk-in closet and warm wood paneling. The living room/dining room combo has vaulted ceilings, wood stove and monitor heat and extensive windows that bring in the outdoors. The walk-out basement has independent heat and is a great space for the additional bedroom, studio or? The extensive decking and patio areas are great for outdoor relaxation. The 25 acres are all usable and border USFS land for added privacy. The pond is year-round and per Seller is approximately 3 acres when completely full. There is a nice mix of open space and treed areas that include oak, pine, fire and madrone trees. There are 2 wells on the property and some fencing has been done around the house. An out building and large carport are handy for storage and parking your toys. 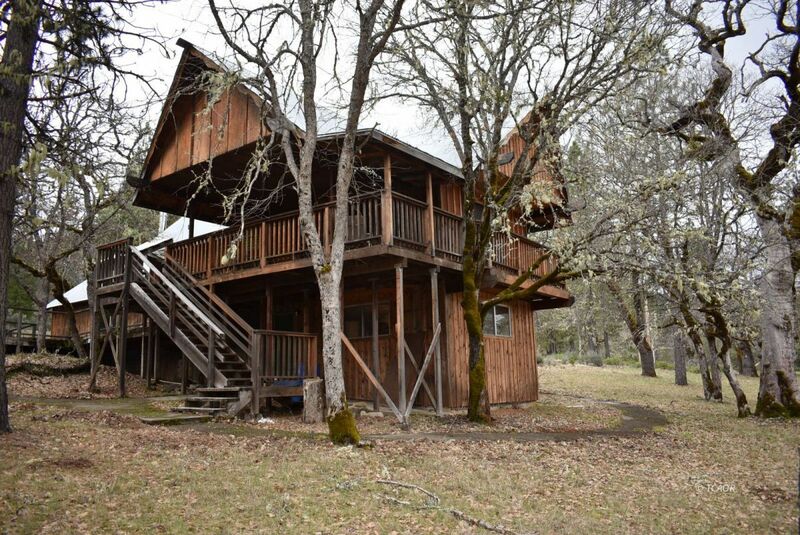 This is a great location outside of Hayfork in Trinity County. Make an appointment to see this awesome package today!